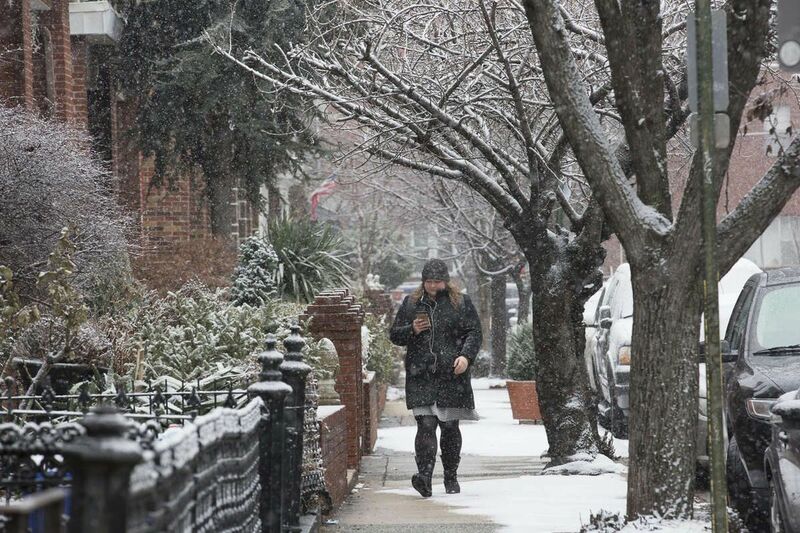 Snow has arrived in the Philadelphia area in time to be a nuisance for the morning commute. The change from rain to snow began in the western Chester County and upper Montgomery and Bucks counties and has moved east. Here's the latest of what you need to know. Philadelphia public and Catholic schools opened on time. Dozens of schools in the Pennsylvania suburbs opened late. A list can be found at NBC10. Road conditions vary from west to east. Major highways are mostly wet and slippery. A number of accidents have been reported. Secondary roads have snow in places where it has been falling longer. The speed limit has been lowered to 45 mph on the New Jersey Turnpike. The speed limit is reduced 35 mph on the Ben Franklin, Walt Whitman, Commodore Barry and Betsy Ross bridges. The New Jersey State Police reported responding to 81 motor vehicle accidents Tuesday morning in its patrol area, which includes harder hit North Jersey. Light snow is falling at Philadelphia International Airport. Aircraft deicing is underway. Some cancellations and delays have been reported. Be sure to check flight status with your airline before coming to the airport. Light snow is expected to fall until midday. Anywhere from a trace to 1 to 2 inches of snow are projected.Temperatures will be around freezing during the day. The sun could appear in the afternoon.